Thank you for clarifying that the airbag fits all. The non m/f 991 wheel with paddles is very nice but it seems a bit crazy to lose the m/f functionality but I guess if I had to choose m/f or paddles I'd probably go with the later (better looking) wheel with paddles. I'm considering swapping my multi function tip wheel (triangle centre airbag) for the newer gen 2 wheel (round airbag) my question is, my car is a 2009 turbo gen so called 1.5 so i have PCM 3. will the control unit be the later type in my car and save the £250? just trying to weigh up if it's worth £350 for the airbag £250 for the module and the cost to reprogram. I'd expect you'll be OK. I did this on my 2007 turbo and I only had to change the wheel and airbag. If you want to be 100% sure you have the correct steering module it is part number 997.613.289.01 that you need get your indy to whip your steering wheel off and have a look or do it yourself it would only cost a few quid for them to do it or the OPC might be able to tell you the part number based on your vin. if it is the above number you are good to go if not then you will probably need the get the module at £230 plus the wheel and airbag the airbags are £350 from several places and the wheels vary but try Mark at stirlings on here as he has a few gen 2 tip wheels and is the best price because he changes many over to the gen2/991 sport one with the flappy paddle and is left with the old gen 2 ones so is happy to let them go at a good price . Cheers Phill, Mike at Sterlings kindly sent two wheels for me to try and make one wheel, he didn't have a black leather mf wheel. I'm not sure I can get the face of one without damage then I thought is it really worth it £600 to £700 on top of the other painted interior mods I'm doing. But if it's just an airbag £350 that would be worth it! As Phil says, call your OPC, give them your VIN number and they will be able to tell you the part number of the control unit you have fitted. As Isys has pointed out, it's very likely that a car as late as yours will already have the later unit fitted! I know Monster removed a face and fitted a mf face but he did say you will may well end up breaking the wheel of the one with the face you want and the face on the one with the wheel you want. but it can be done with some effort as you say a mod worth doing at £500 ish but I ended up paying more like £900 by the time I had done it but that would have been a couple of hundred cheaper if I hadnt gone for a carbon gen 2 wheel. Number #1 objective - stop horn beeping with key removal (so embarrassing). Number #2 objective - get paddle shifts working. 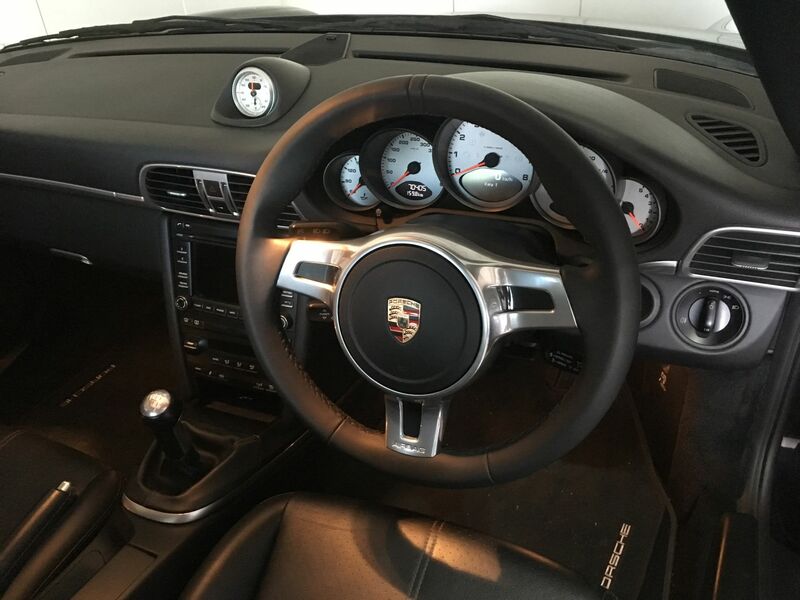 I have a 2007 997 Turbo Tiptronic S which I just bought and it came with the 991 three spoke wheel with paddles (I believe it is 997-044-402-16-A10). Every time I remove the key the horn beeps, and the paddles don't work, everything else works including cruise control and no warning lights or errors are shown. The previous owner confirmed the steering wheel control module was not replaced, I believe the new wheel was fitted and no other work done. Do I need to replace the control module with 997.613.289.01 even though this is not a M/F steering wheel (I have original wheel and its NOT M/F)? Is this the correct steps required for my 997 Gen 1 Turbo car? 1. Purchase and fit new steering wheel control module 997.613.289.01. 2. Code PIWIS to "PDK" steering wheel. 3. Calibrate steering angle sensor. 5. Erase all trouble codes. And get the OPC to turn ON the multifunction option with piwis even though it doesnt have it . You will need to insist as they think they know better. also the new steering control module will need to be programmed with piwis. 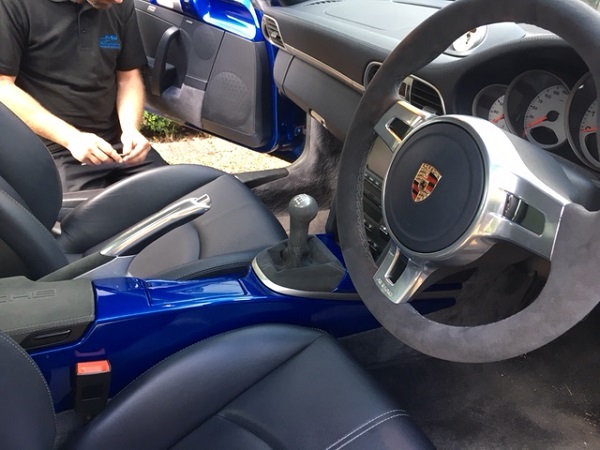 the non working paddles is what the previous owner gave up to make the horn work as without the new control unit you can only have one or the other working which would also explain the beep as the car is seeing it has a problem somewhere within the control unit. Do the things on your list and what I have said and you will be good to go. Not sure of your location but if Bournemouth OPC is feasible they have done quite a few of us now and know whats needed plus I could meet you there and ensure they do whats needed. Great modification Monster, looks great. Cheeky question - are you interested in selling your original wheel? If so please PM me. I have the aluminium pack wheel but find the feel odd so am looking for a leather multi function replacement. Dave, this is quite an old thread resurrected mate not sure if Monster kept his old wheel or sold it. but there are options is yours the gen1 triangle wheel or sport round one which is not the same as the gen2 round airbag if its the triangle one then this is a nice sporty option. That reminds me I must sell my triangle multi function wheel! Phill hope your well but I'm lost! Just got in from the local pub, who or which Dave lol, did you fit that heated wheel? Did the same mod but in Alcantara, very happy with it.